Cannabis Heals-And The Government Knows It! In 1974, Virginia Medical College in Richmond, Virginia did research on tumors of the lung, brain, liver and kidney using mice and rats. Incredible things were done. The cancer stopped growing and in most cases even reversed itself 100 percent. Some of the mice who were given cancer and treated with cannabis actually lived longer than some of the control mice who were not even given cancer! It was found that marijuana is the best thing to treat cancer of the lungs, brain, etc. After that they were stopped from doing any more research at all, by first Nixon and then Ford. No research with positive results could be done, only research with negative results. That’s the way it’s been since 1975 until now, even though a 1999 marijuana study turned out to be positive also. Thanks to my friend Henry Garcia who writes a regular heath newsletter called “Divine Life”. Let me know if you are interested and I will give you contact info. New York, NY: Fifty-five percent of American adults support legalizing marijuana, up from 52 percent in 2010, according to the results of a new Angus Reid Public Opinion poll. Forty percent of those polled said that they opposed the idea and five percent were undecided. The poll’s margin of error is +/- 3.1 percent. More men (57 percent) than women (53 percent) voiced support for legalizing cannabis. Respondents between the ages of 35 to 54 were most likely to support legalization (57 percent); however, a majority of respondents from every age group polled — including those age 55 and over — said that they backed making marijuana legal. (NaturalNews) Last month, after patient advocates had filed a lawsuit to compel the federal Drug Enforcement Administration (DEA) to answer a 9-year-old petition to reclassify cannabis (medical marijuana), it begrudgingly complied. The government’s answer to the petition filed in 2002 by the Coalition for Rescheduling Cannabis (CRC) was, of course, “denied.” The Obama Administration has made its position clear, however wrongheaded, that cannabis is a dangerous drug with no medical value. While disappointing, the decision to ignore the science and keep a worn-out, decades-old position merely maintains the status quo. The opportunity in the CRC petition denial, however, is that patient advocates have stymied the federal government’s strategy of delay. With this official denial, patients, doctors, scientists, advocates, and elected officials can now appeal to correct a harmful public health policy that would deny medical cannabis to millions of Americans who could benefit from it. Less than two weeks after the denial was posted to the Federal Register ,Americans for Safe Access (ASA), the country’s largest medical cannabis advocacy group and one of the original petitioners (as part of the CRC), did just that. ASA filed a notice of appeal in the D.C. Circuit on July 21st and will file its opening brief within the next couple of months. Now the issue heats up in federal court. The D.C. 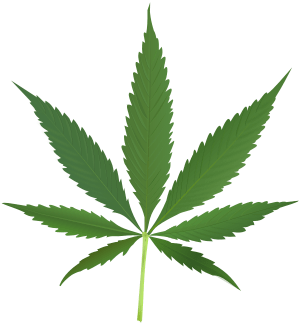 Circuit will be asked to review the evidence and make a determination on whether cannabis should remain in Schedule I, the highest category of controlled substances. Because this issue is so political and because so much money rides on the aggressive enforcement of federal marijuana laws, the Obama Administration has been put in the difficult position of defending an indefensible policy. The evidence behind the therapeutic value of cannabis, whether clinical or anecdotal, is overwhelming. It was overwhelming in 2002, when the CRC petition was filed, and it’s more overwhelming today. Since the CRC petition was filed, an even greater number of studies have been published showing the medical benefits of cannabis for illnesses such as neuropathic pain, multiple sclerosis, and Alzheimer’s. Recent studies even show that cannabis may inhibit the growth of cancer cells. Earlier this year, the National Cancer Institute, a division of the federal Department of Health and Human Services, added cannabis to its list of Complementary Alternative Medicines, pointing out that it’s been used therapeutically for millennia. When the latest petition was filed by the CRC in 2002, eight states had adopted laws recognizing and decriminalizing the medical use of cannabis. Today, sixteen states and the nation’s capitol have passed medical cannabis laws with many more states considering similar legislative proposals. Commentaries appearing above are produced by the Editorial Board of the Connecticut Law Tribune. The opinions are voted on and passed by at least one third of the members of the board. They do not necessarily reflect the opinions of every member of the board, nor of the newspaper. There are substantial arguments for and against legalizing the use of marijuana. Opponents of its use strongly believe that marijuana is addictive, leads to the use of hard drugs, impairs short-term memory and motor coordination, and irritates the respiratory system. Despite these objections, on balance, it’s time to seriously consider legalizing marijuana. Marijuana has some beneficial qualities. It relieves pain, stimulates appetite in AIDS patients, reduces nausea in cancer patients undergoing chemotherapy, is an antidepressant, and relieves anxiety. Our present laws are out of date. That is because too many people wish to use marijuana and we know Prohibition didn’t work. The reason Prohibition didn’t work is because an overwhelming number of otherwise law-abiding citizens wished to drink, and government couldn’t afford to stop them. When a very significant percentage of the population wishes to do something, which is not inherently harmful to anyone else, then government is facing a losing battle. Save the enforcement money and tax it. The economy would be strengthened if government saved the money they spend on enforcement of our marijuana laws, and taxed it just as they do alcohol. Jeff Mirren, a Harvard economist, has calculated that marijuana could generate approximately $8.7 billion in national tax revenue per year if legalized. He also calculated that approximately $8 billion is spent trying to fight marijuana. Those numbers can be debated, but it is clear that state governments, and the federal government, spend billions of dollars enforcing our marijuana laws and they don’t tax it (unless they catch someone who has an unreported income). That $17 billion could be better spent on other government programs. 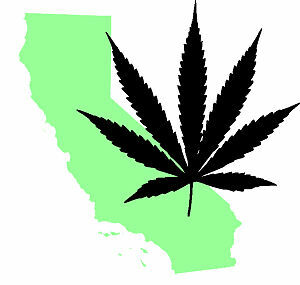 In signing a new California law that greatly reduces penalties for people possessing small amounts of marijuana, Gov. Arnold Schwarzenegger stated: “In this time of drastic budget cuts, prosecutors, defense attorneys, law enforcement, and the courts cannot afford to expend limited resources prosecuting a crime that carries the same punishment as a traffic ticket.” In other words, it is too expensive to enforce the present anti-marijuana laws. Its use is not morally wrong. The use of marijuana is no more morally wrong than the use of alcohol. Therefore, it should not be a crime. It should not even be a misdemeanor. Each year approximately 750,000 Americans are arrested for possession of small amounts of marijuana. The only valid reason for its criminalization is that government needs to protect people from themselves. Statistically, it is difficult to determine what percentage of the people who use marijuana need protecting because they eventually move on to hard drugs, but one generally recognized range is between 2 percent and 9 percent. That is 2 to 9 percent of new users, because present users are still there even if it isn’t legal. Assuming that this is true, part of the tax revenue raised from the legalization of marijuana could be used for the treatment of alcoholism and drug addiction. Marijuana laws are not enforced equitably. According to Nicholas Kristof of the New York Times, blacks and Latino men are more likely than whites to be stopped and searched, and when drugs are found, they are prosecuted. He claims that in Los Angeles black men are arrested for marijuana possession seven times more frequently than whites. It is doubtful that blacks use marijuana seven times as much as whites. Our present marijuana laws empower gangs and violence. The wars in Mexico are an example. Of course, these drug wars also deal with hard drugs, but eliminating marijuana from the illegal drug trade would make these wars less worthwhile. There is no sense encouraging drug cartels or violence. The time has come to treat marijuana like alcohol, tax it like alcohol, and sell it either in state-controlled stores or in private stores, like liquor or drug stores. Control of our marijuana laws should be returned to the states with the federal government having a limited role, as it does now, with alcohol. Marijuana Drug War Victims-This Needs To Stop! Come on folks these people have, in some cases, had their lives ruined and even died as a result of having a small amount of marijuana or even just a pipe. Scripture says we are to stand up against injustice. If anything in our society is unjust it is the, so called, war on drugs. 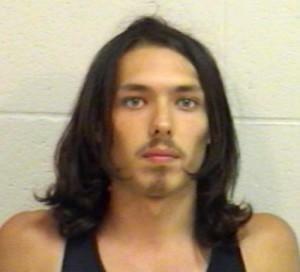 One person arrested for marijuana every 38 seconds. 100 BILLION dollars a year spent on this. Come on, Wake up. JUST BECAUSE SOMEONE HAS MADE SOMETHING ILLEGAL DOES NOT MAKE IT WRONG! Given that it was written partially in response to opinion polls, rather than as an exercise in pure theory, Proposition 19, which would legalize the possession and use of up an ounce of marijuana (cannabis) for adult Californians, contains provisions that an advocate of pure devotion to liberty might not have included. Some of these provisions have raised questions, some justified and some exaggerated out of any relation to reality. We thought it appropriate to deal with some of these issues, chiefly the reasons for having a “local option” for sales and cultivation and the possible implication this proposal would have on the ability of employers to discipline people who are impaired at work due to cannabis use, and of police to handle drivers similarly impaired. Prop. 19 would establish a statewide policy, to wit: adults may possess up to an ounce of cannabis and may cultivate a patch of plants amounting to 25 square feet. But it contemplates that there will be a demand to purchase cannabis, as well, so it allows localities to develop their own policies for regulating cultivation and sales (and collecting taxes on them) or to prohibit any sales or cultivation beyond the 25-square-foot limit. Critics argue that it may be too much to ask of city councils to develop sensible regulations in an unfamiliar area. There is also a fear that there will be so much variance from city to city that it will be just too confusing for law enforcement officials, and some marijuana users might get caught in compromising situations as they travel from city to city. The local option plan grew out of the experience of so many cities at implementing (or not implementing) medical marijuana policies in response to Prop. 215 in 1996. It became obvious that some city governments would prefer to have no medical marijuana dispensaries, while others seemed to welcome them, or at least to accommodate their regulations to the policies endorsed by voters. Prop. 19 allows local jurisdictions to make that choice. In fact, different cities have different policies toward the sale of liquor (within the framework of state laws), different zoning regulations, and different policies on a wide range of issues. Developing regulations that respond to local concerns within the framework of state and federal laws is what city councils and other arms of government are supposed to do. The beauty of local option is that the experience of different cities will serve as a laboratory of policy alternatives from which policy students and other city councils can learn what works and what doesn’t. As for employment policies, Prop. 19 specifically states that “the existing right of an employer to address consumption that actually impairs job performance shall not be affected.” However, that clause is preceded by one that says “No person shall be punished, fined or discriminated against, or be denied any right or privilege for lawfully engaging in any conduct permitted by this Act.” Critics have contended that this creates a “protected class” of marijuana smokers who are not subject to the same rules as the rest of us. This is an incorrect inference. Prop. 19 reinforces laws against driving while impaired, makes it illegal to smoke in front of minors, and makes it illegal to smoke in public places. Cannabis users under Prop. 19 will be subject to all the constraints imposed on other citizens and some unique to them. The reason for prohibiting discrimination against cannabis users is simple. Existing testing methods can detect metabolites of cannabinoids for up to a month after cannabis use – long after any intoxication or impairment has disappeared. Employers can’t fire an employee for getting drunk on Saturday night so long as he or she shows up Monday able to perform satisfactorily. A similar policy should apply to marijuana and will apply if Prop. 19 passes. A similar policy will apply to driving while impaired. A complication is that there is no simple roadside test for marijuana use. The responsibility of police will be to look for signs of impairment, as is the case now. Legalizing marijuana use for adults is a significant step away from nanny-state policies and all the crime, corruption and violence that accompany marijuana prohibition, so some caution about such an important move is understandable. But the impact on employment polices, driving laws and the responsibilities of local government are not sufficient to justify rejection of this proposal. Prohibition of cannabis in the United States may be counter-productive, with a new study showing that a period of increased law enforcement against the drug coincided with an increase in the number of young adult cannabis users smoking cheaper and more potent produce. The report, Tools for Debate: US Federal Government Data on Cannabis Prohibition, conducted by researchers from the International Centre for Science in Drug Policy in Vancouver, focused on the effects of national drug prohibition in recent decades, and in an editorial published online this week for the British Medical Journal (BMJ), Professor Robin Room from the University of Melbourne and Turning Point Alcohol and Drug Centre, outlined why this new evidence should be used to reassess approaches to America’s management of cannabis use. “The evidence from the Tools for Debate report is not only that the prohibition system is not achieving its aims, but that more efforts in the same direction only worsen results,” he said. According to the report, the US federal antidrug budget increased from about $1.5bn in 1981 to more than $18bn in 2002. Between 1990 and 2006, cannabis related arrests increased from fewer than 350,000 to more than 800,000 annually and seizures of cannabis from less than 500,000 lb to more than 2.5 million lb. In the same period, the retail price of cannabis decreased by more than half, the potency increased, and the proportion of users who were young adults went up from about 25% to more than 30%. Intensified enforcement of cannabis prohibition thus did not have the intended effects. Professor Room said the challenge for researchers and policy analysts in light of these findings was to flesh out the details of an effective regulatory system. He suggested that countries who chose to adopt a new approach to cannabis control could allow a regulated legal domestic market while keeping in place international market controls. “State control instruments – such as licensing regimens, inspectors, and sales outlets run by the government – which are still in place for alcohol in some areas could be extended to cover cannabis and would provide workable and well-controlled retail outlets for cannabis,” he said. and AER Centre for Alcohol Policy Research,Turning Point Alcohol & Drug Centre. or Emma O’Neill, Media Unit, University of Melbourne on 03 83447220 or 0432758734. Legalization would not only promote specific policy objectives that are near and dear to conservative hearts, it is also consistent with core principles that conservatives endorse in other contexts. For decades, the U.S. debate over drug legalization has pitted conservatives on one side against libertarians and some liberals on the other. A few conservatives have publicly opposed the drug war (e.g., National Review founder William F. Buckley Jr.), but most conservatives either endorse it or sidestep the issue. Yet vigorous opposition to the drug war should be a no-brainer for conservatives. Legalization would not only promote specific policy objectives that are near and dear to conservative hearts, it is also consistent with core principles that conservatives endorse in other contexts. Legalization would be beneficial in key aspects of the war on terror. Afghanistan is the world leader in opium production, and this trade is highly lucrative because U.S.-led prohibition drives the market underground. The Taliban then earns substantial income by protecting opium farmers and traffickers from law enforcement in exchange for a share of the profits. U.S. eradication of opium fields also drives the hearts and minds of Afghan farmers away from the U.S. and toward the Taliban. 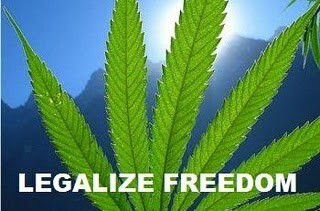 Legalization could also aid the war on terror by freeing immigration and other border control resources to target terrorists and WMD rather than the illegal drug trade. Under prohibition, moreover, terrorists piggyback on the smuggling networks established by drug lords and more easily hide in a sea of underground, cross-border trafficking. Legalizing drugs would support conservative opposition to gun control. High violence rates in the U.S., and especially in Mexico, are due in part to prohibition, which drives markets underground and leads to violent resolution of disputes. With the reduced violence that would result from legalization, advocates of gun control would find it harder to scare the electorate into restrictive gun laws. Legalization could ease conservative concerns over illegal immigration. The wage differences between the United States and Latin America are a major cause of the flow of illegal immigrants to the U.S., but an exacerbating factor is the violence created by drug prohibition in Mexico and other Latin American countries. With lower violence rates under legalization, fewer residents of these countries would seek to immigrate in the first place. Beyond these specific issues, legalization is consistent with broad conservative principles. Prohibition is fiscally irresponsible. Its key goal is reduced drug use, yet repeated studies find minimal impact on drug use. My just-released Cato Institute study shows that prohibition entails government expenditure of more than $41 billion a year. At the same time, the government misses out on about $47 billion in tax revenues that could be collected from legalized drugs. The budgetary windfall from legalization would hardly solve the country’s fiscal woes. Nevertheless, losing $88 billion in a program that fails to attain its stated goal should be anathema to conservatives. Drug prohibition is hard to reconcile with constitutionally limited government. The Constitution gives the federal government a few expressly enumerated powers, with all others reserved to the states (or to the people) under the 10th Amendment. None of the enumerated powers authorizes Congress to outlaw specific products, only to regulate interstate commerce. Thus, laws regulating interstate trade in drugs might pass constitutional muster, but outright bans cannot. Indeed, when the United States wanted to outlaw alcohol, it passed the 18th Amendment. The country has never adopted such constitutional authorization for drug prohibition. Drug prohibition is hopelessly inconsistent with allegiance to free markets, which should mean that businesses can sell whatever products they wish, even if the products could be dangerous. Prohibition is similarly inconsistent with individual responsibility, which holds that individuals can consume what they want — even if such behavior seems unwise — so long as these actions do not harm others. Yes, drugs can harm innocent third parties, but so can — and do — alcohol, cars and many other legal products. Consistency demands treating drugs like these other goods, which means keeping them legal while punishing irresponsible use, such as driving under the influence. Legalization would take drug control out government’s incompetent hands and place it with churches, medical professionals, coaches, friends and families. These are precisely the private institutions whose virtues conservatives extol in other areas. By supporting the legalization of drugs, conservatives might even help themselves at the ballot box. Many voters find the conservative combination of policies confusing at best, inconsistent and hypocritical at worst. Because drug prohibition is utterly out of step with the rest of the conservative agenda, abandoning it is a natural way to win the hearts and minds of these voters. Jeffrey A. Miron is a senior lecturer and director of undergraduate studies at Harvard University and a senior fellow at the Cato Institute. Miron is the author of “Libertarianism, from A to Z” and blogs at jeffreymiron.com. My son just started kindergarten. So naturally, I have been thinking a lot about the type of world and community in which I want him and our seven-year-old daughter to live. I am involved in a project to improve school lunches in our district to reinforce the nutrition lessons we teach in our home. I am a founding board member of a community group trying to improve our city’s parks. And I am working to help pass Proposition 19, the initiative to control and tax marijuana in California. It is important to me as a mother that my children grow up in a state—hopefully a country soon—that rejects the ineffective and damaging policy of marijuana prohibition. It may be counterintuitive, but legalizing marijuana will be better and safer for our children. I would like to believe my kids won’t ever choose to use drugs. But whatever happens, it is certain that prohibition does not stop kids from using marijuana, and that my kids will be exposed to it along with other risky behaviors. After all, about a third of high school seniors have used marijuana within the last year, a figure that has been relatively stable over decades across the country and has not been affected by variations in laws and enforcement. Moreover, it has long been easier for kids to get marijuana than it is for them to get alcohol. The plain fact is drug dealers don’t require ID, and legitimate businesses do. By taking marijuana out of the black market and placing it within the confines of safe, regulated, and licensed businesses that only sell to those 21 and over, Proposition 19 would actually reduce underage access to marijuana. While we don’t want our kids to try marijuana, if they do later on it can lead to very harsh consequences if they are caught, even for actions that are not harmful to others. And this next part is really scary: when a person is convicted of a marijuana offense, he or she is precluded from receiving federal student loans, will forever have a drug record that diminishes job prospects, and is precluded from many other benefits, not to mention being arrested, possibly serving time, and other harsh and harrowing outcomes. We don’t prevent even violent criminals from getting student loans. Or underage drinkers, for that matter. I don’t want people to have their lives derailed for a youthful indiscretion. Do you? Scientists working in the UK have revealed that cannabis has the potential to destroy leukemia cells. The team – based at Queen Mary’s School of Medicine and Dentistry in London – have followed up on their previous findings that the main active ingredient in cannabis, tetrahydrocannabinol (THC) has the potential to be used effectively against some forms of cancer. THC has previously been shown to attack cancer cells by interfering with important growth-processing pathways, however its mechanism of doing so has remained a mystery. Now, Dr Liu and his colleagues, using microarray technology – allowing them to simultaneously detect changes in more than 18,000 genes in cells treated with THC – have begun to uncover the existence of processes through which THC can kill cancer cells and potentially promote survival.